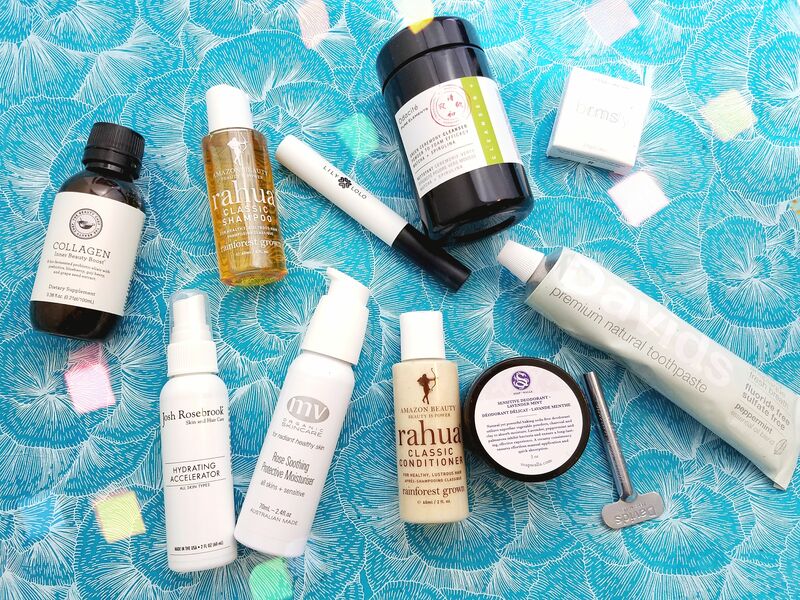 The Detox Market - Best Of Green Beauty Box Review - inspo + co. The Detox Market is a brand that I was introduced to at Create and Cultivate. This awesome site works to find the best “green” makeup, skincare, fragrance and wellness products that are all made from non-toxic ingredients. I have friends who are always asking me for brand suggestions because they are concerned with only buying beauty products that are ethically made out of non-toxic elements. So this review is for them! I was lucky enough to win The Detox Market “Best of Green Beauty 2017” box so I could experience all of their top products for myself. They currently have a subscription service where you can get a smaller curated box containing $90 dollars worth of green beauty monthly for only $50 and the price drops to $40 a box if you get a six-month subscription. This limited edition box that I received would normally cost $149. If you want to be introduced to new brands that believe beauty products can be effective and also non-toxic – this subscription could be a game-changer for you! Check out what was in my box below. I definitely found a few new favorite brands! Odacite: Green Ceremony Cleanser – Spirulina and matcha cleanser? ?…heck yes! Josh Rosebrook: Hydrating Accelerator – Organic aloe water goodness. MV Skincare: Rose Soothing & Protective Moisturizer – Three words..Bulgarian. Rose. Oil. Also, this product alone is $135…what a great value for a $50 box! The Beauty Chef: Collagen Inner Beauty Boost – Mix into your fave beverage daily for healthy skin, nails & hair. rms beauty: Vintage Cake Liner – Activate with water and draw on that green beauty cat-eye. Lily Lolo: Natural Vegan Mascara – VEGAN MASCARA…it’s a beautiful thing! Soapwalla: Sensitive Skin Deodorant Cream – using veggie powders and clay to make you stink less! Rahua: Shampoo & Conditioner – This formula is made out of ethically Amazon-sourced rahua oil that also sustains the local sourcing economies. Davids: Natural Toothpaste – All natural, recyclable packaging and a cool metal key to help squeeze out every last drop.